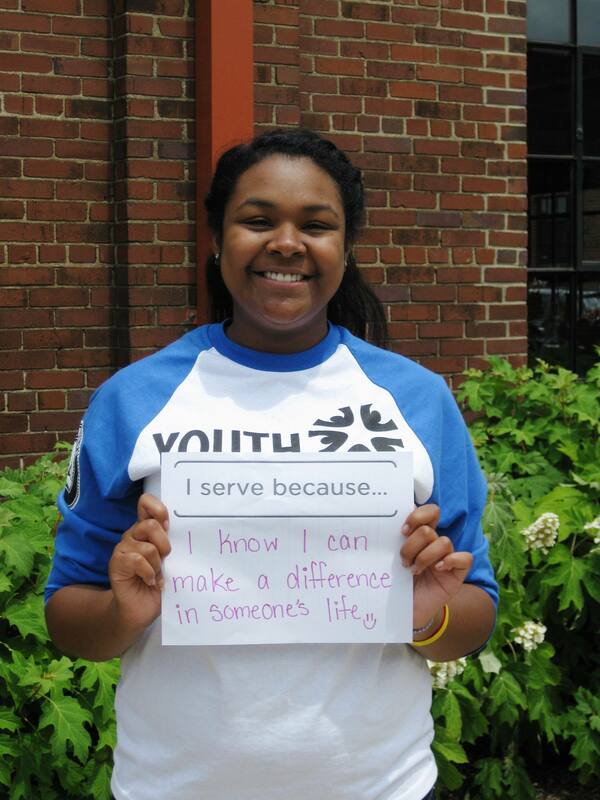 Introducing our 2014 Youth Volunteer Corps Summer Youth Leaders! This summer, four exceptional Middle Tennessee high schoolers will lead their peers to explore important issues facing our community during Hands On Nashville’s new Youth Volunteer Corps (YVC) Summer Camp. From June through July, these 2014 YVC Summer Youth Leaders will each facilitate a weeklong camp for their fellow high school volunteers that focuses on a specific issue, including homelessness, health and wellness, youth education, and the environment. Each camp is designed to encourage a deeper understanding of the issue and our community through hands-on service learning experiences. After being selected through a highly competitive application process, these difference-makers completed a Hands On Nashville leadership training session to help them prepare to lead skill-building activities centered around service-learning. Please join us in welcoming these four inspiring leaders! To read about other young people in the Nashville community who are Hyped On Help, check out our Tumblr page. A: I would go to Europe. Q: What’s your favorite thing to do in Nashville? A: Attend Vanderbilt football games. As a coach and leader, Ben knows the importance of having a plan and motivating others to achieve a common goal. 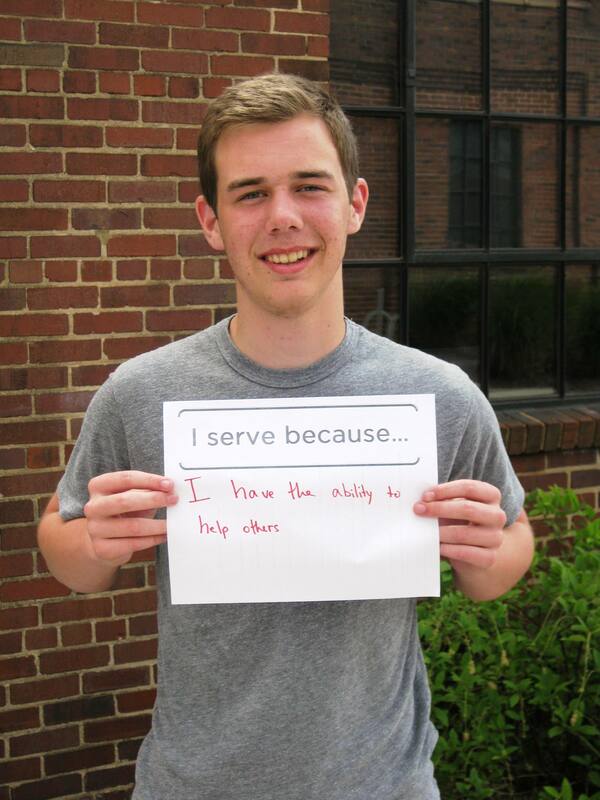 This summer, he hopes to further his teaching and leadership skills while learning more about our community needs. 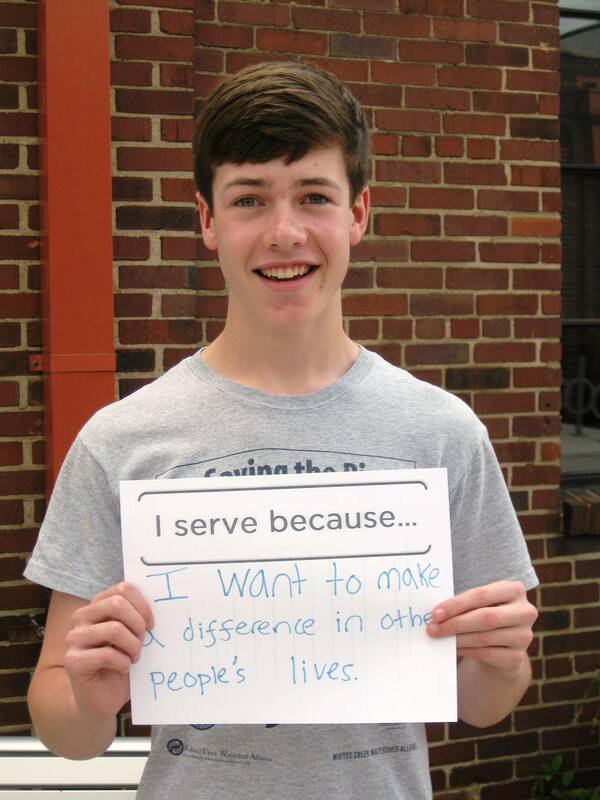 As a Hands On Nashville YVC Summer Youth Leader, Ben will be channeling his energy for health and wellness to better the environment in our community. This summer, Ben will lead campers in service-learning opportunities including maintenance and upkeep of local parks, planting gardens, and providing energy upgrades to a local home. A: India during the Holi Fest or Patagonia, Chile, to hike the mountains or hike the Camino de Santiago in Spain. For Cecilia Von Mann, volunteering is one of the most important aspects of her life. Cecilia, a junior at Father Ryan High School, is a long-time volunteer at Room In The Inn. From serving meals and registering guests to teaching art classes, Cecilia is passionate about helping those facing homelessness. In addition, Cecilia tutors refugee children each week, has led multiple retreats at her middle school, and has traveled across the globe to complete mission trips in cities from Honduras to South Carolina. Cecilia is excited to put her summer to good use by helping others as a Hands On Nashville YVC Summer Youth Leader, and hopes to learn more about hunger throughout the process. This summer, Cecilia will lead campers in service-learning opportunities including sorting perishable food items, serving lunch to women and children facing homelessness, and prepping survival kits. Q: If you could eat only one type of food forever, what would it be? A: Pizza. All day every day. There is nothing better. Q: If you could only listen to one CD/album forever, which one would it be? A: Any Arctic Monkeys album other than A.M. Their older stuff is even better. Emily Thompson, a junior at Merrol Hyde Magnet School, believes that time is the greatest gift you can give to someone. A Girl Scout since kindergarten, Emily learned the true value of volunteerism from a young age. Whether volunteering at Hands On Nashville, spearheading a clothing donation drive at her church to support those facing homelessness, or organizing a middle school dance to support Second Harvest Food Bank of Middle Tennessee, Emily enjoys making a difference for others and leading by example. As an aspiring pediatrician, Emily’s goal is to help improve access to proper healthcare and safety in the community. As a Hands On Nashville YVC Summer Youth Leader, Emily will lead campers in service-learning opportunities including sorting medical supplies for clinics overseas, boxing shoes for children abroad, and cooking lunch for people battling illnesses. Q: If you could only eat one type of food forever, what would it be? A: Spaghetti with meat sauce. All day. 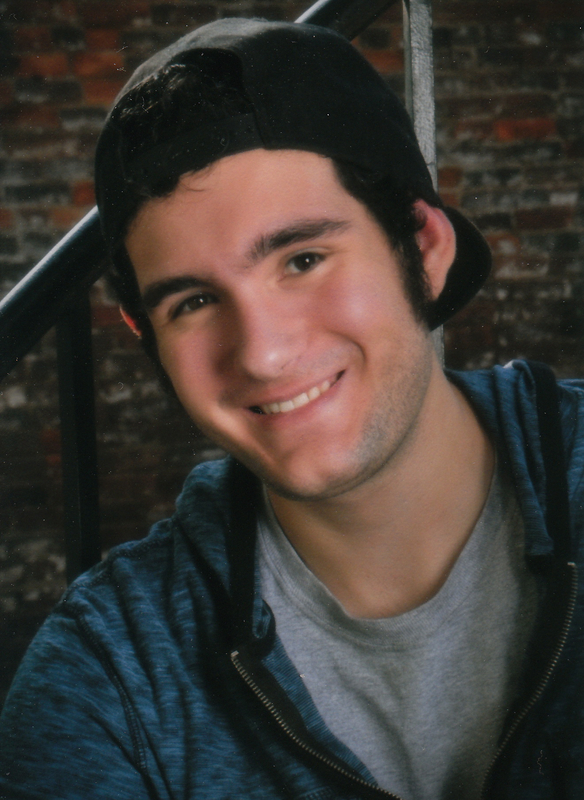 As a community volunteer, Conor has proudly served as a math tutor for youth at Edgehill Community Center and the Susan Gray School, organized musical activities at his church’s vacation bible school, and led Boy Scout Troup 31 in many service projects. This summer, Conor will lead campers in service-learning opportunities such as assisting with enrichment activities for young kids, reading to children, and sorting books. 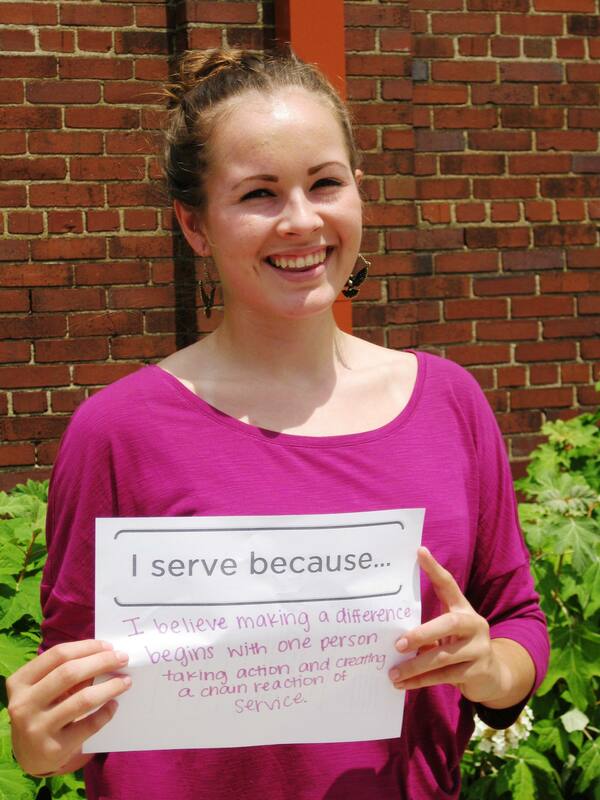 We’d like to extend a special thank-you to Youth Volunteer Corps Summer AmeriCorps Member Isabel Johnson-Bann. This summer, Isabel will oversee each week of Hands On Nashville’s YVC summer camp while facilitating fun, educational service-learning activities for youth participants. 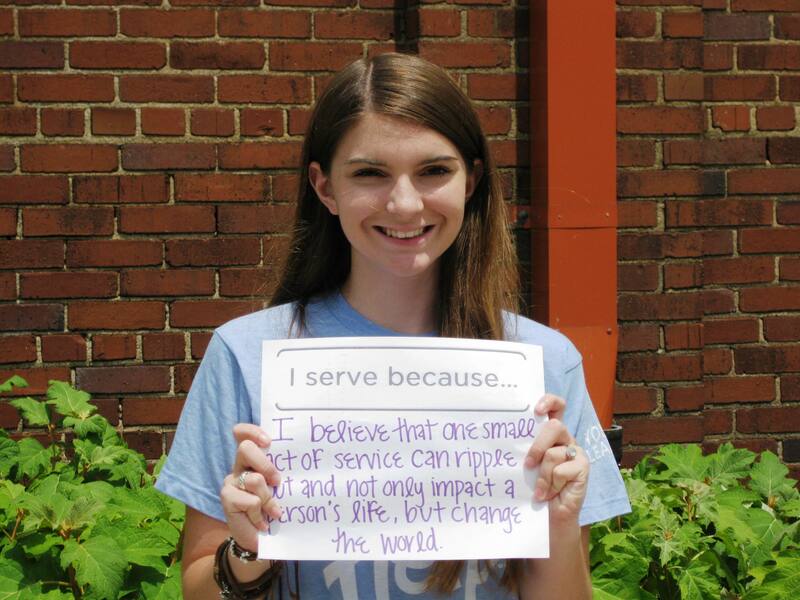 From 2007-2013, Isabel served as a highly active Youth Volunteer Corps volunteer in the Middle Tennessee community. She has completed numerous service projects benefiting our community’s youth, homeless and disabled populations, as well as the environment. Isabel is currently studying Animal Science at The University of Tennessee at Martin. Nashville teens are heading up a community coat drive this winter to help women and children experiencing homelessness, and they need your help. The goal is to collect 200 coats by January 17. The coats will be given to women and children who are participating in the Life Recovery program at the Nashville Rescue Mission on Monday, Jan. 20, as part of Hands On Nashville’s Youth Volunteer Corps MLK Day of Service effort. During MLK Day of Service 2013, Hands On Nashville youth volunteers worked with women and children experiencing homelessness, including doing fun crafts projects with the kids. Several local high school students are coordinating coat drives at their schools, including Zack Grady, a senior at Hunters Lane High School. In addition to giving the coats to the women and children, Hands On Nashville’s teen volunteers will spend Martin Luther King Day at the Rescue Mission and nearby Morgan Park Community Center getting to know each other and helping to facilitate enriching activities with the women and their children. These activities will include completing arts and craft projects; serving lunches; treating women and their children to haircuts – offered at no cost by salon professionals who will volunteer alongside the teens; and creating resumes. The teens will also have the opportunity to dialogue about the issues surrounding homelessness in Nashville. 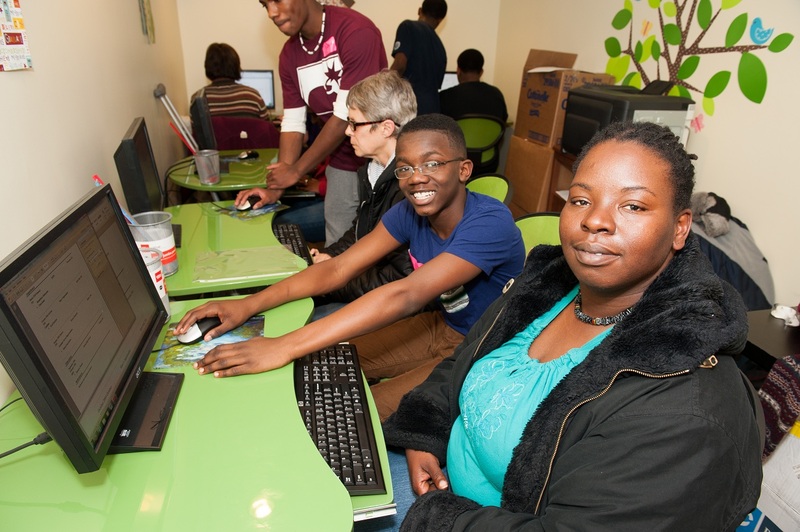 A volunteer works with a participant of the Nashville Rescue Mission’s Life Recovery program to create a resume during Hands On Nashville’s youth MLK Day of Service in 2013. This is the second year Hands On Nashville’s Youth Volunteer Corps has rallied the community around giving coats to help women and children experiencing homelessness during the winter season. Interested in donating a coat? New and pre-loved coats are accepted. All coats should be clean. This is a wonderful opportunity for families, individuals, or school groups to conduct a coat drive to support this effort. Drop coats off at: Hands On Nashville (37 Peabody Street, Suite 206) during the weeks of January 6-10 and 13-17, Monday through Friday, 9 a.m. to 5 p.m. Questions? Contact Audrey at Audrey@hon.org or (615) 298-1108 Ext. 416, or visit www.hon.org/YVCmlk. Hands On Nashville’s Youth Volunteer Corps offers year-round service-learning opportunities to inspire and empower youth ages 11 to 18 to create meaningful community change. Learn more at www.hon.org/teen. Dec. 3 is Giving Tuesday. Think the opposite of Black Friday and Cyber Monday. It’s a national day of giving, and we at Hands On Nashville are offering the Nashville community an easy way to help local kids — and feed your sweet tooth with local goodies — at our Bikes and Baked Goods bike drive. STEP 1) Dig through your garage, storage room, or attic. Volunteers from Jackson – this year’s ReCYCLE for Kids presenting sponsor – refurbish bikes in 2012. Don’t have a bike but still want to help? We’re also accepting cash donations to help buy new bike helmets for the kids. $10 will buy one helmet. Help us keep their noggins safe! STEP 3) Receive a small token of our appreciation: a delicious treat generously donated by local bakeries Dozen and Tennessee Cheesecake (while supplies last). 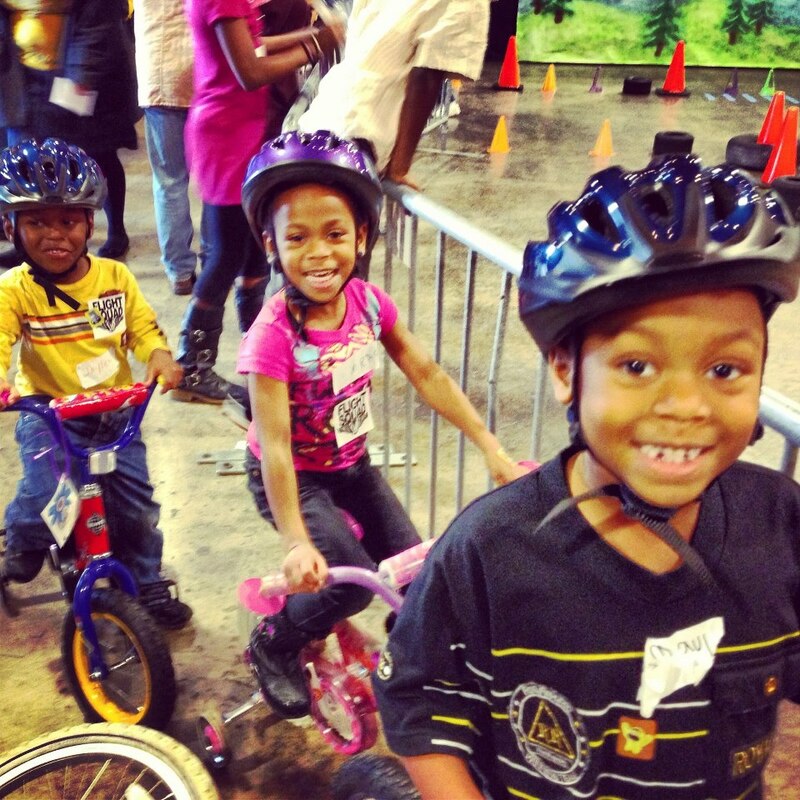 Last year, we gave away bikes to 300 kids served by local nonprofits. This year, our goal is to collect 500 bikes as part of our ReCYCLE for Kids effort presented by Jackson, and to give away 400 (the remaining will be used for extra parts, recycled, or passed along to other groups). Kids giving their new bikes a test ride at Hands On Nashville’s 2012 ReCYCLE for Kids giveaway event. Here’s what will happen to the bikes you donate: Led by experts from the Oasis Center’s Bike Workshop, Hands On Nashville volunteers will fix them up over the next several months. In May, we’ll give the refurbished bikes to more than 400 underserved kids at a fun giveaway event that includes bike safety activities, a skills course, and free helmets for participants. ReCYCLE for Kids: You give. We fix. Kids ride. 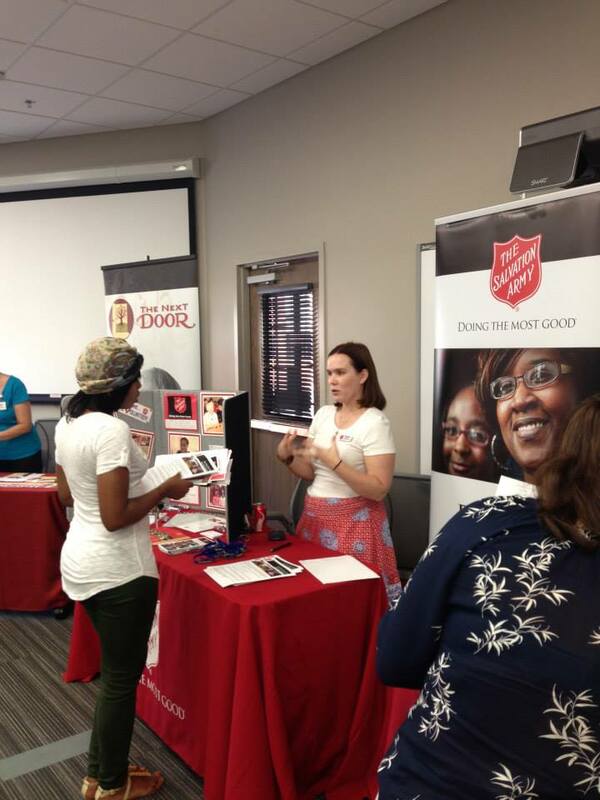 The Salvation Army was just one of many nonprofits at the Tutor Fair. The need for tutors who can assist both youth and adult students in Middle Tennessee is greater than ever. Believe it or not, there are usually more than 100 tutoring opportunities listed on the HON website at any given time. But while such a large number of openings provides potential tutors with a nice variety from which to choose, it can be overwhelming for them as well. With a new school year underway, Hands On Nashville welcomed 18 local nonprofits and more than 75 volunteers to its offices for the inaugural Back to School Tutor Fair on September 5. The goal of the event was to connect potential volunteer tutors with the nonprofits who need them most and simplify the process that matches individuals with tutor openings. The gathering also provided an opportunity for Hands On Nashville and its nonprofit partners to address some of the common questions and concerns individuals have about tutoring in general. 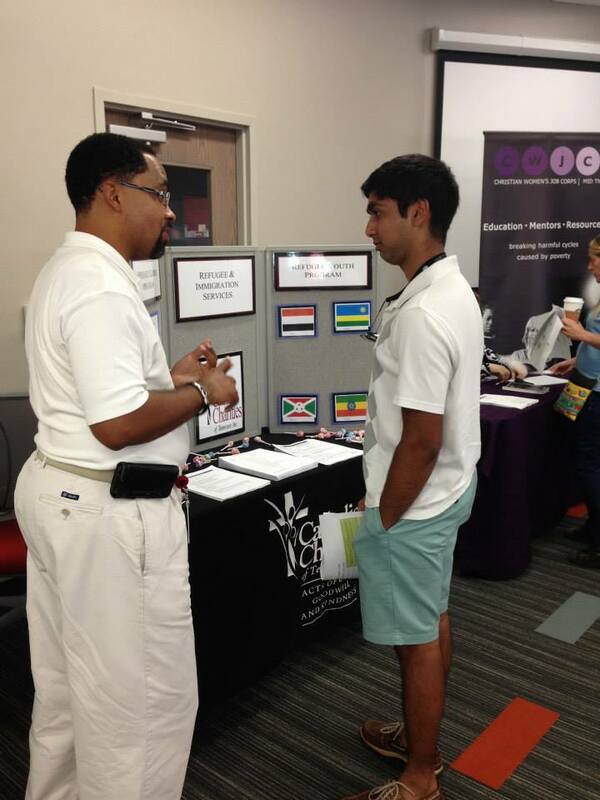 A prospective volunteer learns more about tutoring opportunities. Overall, the Back to School Tutor Fair was an enormous success. Individuals were able to meet a variety of nonprofits in a personal, face-to-face setting and learn about tutoring opportunities that they can fit into their busy schedules. Hands On Nashville still has plenty of tutoring openings available throughout the Fall. If you missed the Back to School Tutor Fair but you’re interested in tutoring a local student, contact Kirsten directly, and she’ll help you out. Thanks to everyone who participated in the Back to School Tutor Fair! You (yes, you) Will Make HON Day 2013 Happen. Here’s How to Get Started. HON Day volunteers have the most fun! YOU ROCK! Thank you for choosing to get involved in Hands On Nashville Day 2013, our city’s biggest day of volunteerism that benefits Metro Schools. To sign up as an individual, you’ll need to follow a few simple steps, all outlined below. If you’d rather sign up a team, read about how to do that here. If someone is going to invite you to be a part of their team, you will receive email instructions telling you what to do. 1. Create an account / Log in to your account. > Click here to create your HON.org account. (If you already have a HON.org account, simply log in using the green ‘login’ button in the upper right corner of the site and go to step #2. 2. Browse schools and SIGN UP! Once you find the school you want and click SIGN UP, you will receive an email confirmation with additional details about exactly where to go on Sept. 21, etc. 3. Donate at least $25 to Hands On Nashville, and receive an AWESOME thank-you gift: a limited edition Hatch Show Print event t-shirt. > Make your gift here. This event is also Hands On Nashville’s biggest fundraiser of the year. During registration, all participants will be asked to make a $25 donation to support Hands On Nashville’s work to connect volunteers to community needs. All who make a minimum $25 donation will receive a special thank-you gift: a limited edition Hatch Show Print event t-shirt. Hands On Nashville leverages every $1 donation from this event into $5 of volunteers service that meets critical community needs. Donations are encouraged, but not required. Regardless of ability to donate, we encourage everyone to participate in Hands On Nashville Day! Please spread the word about this awesome, uplifting community event! Whether your preferred mode of communication is Facebook, Twitter, email, or carrier pigeon, you can inspire others to Be the Change. (Please be sure to tag us — www.facebook.com/HONashville, @HONashville — and use #HONDay13 as the Twitter hashtag). Check out our HON Day FAQs, email us at honday@hon.org, call us at (615) 298-1108, or visit our HON Day webpage. We can’t wait to serve with you on September 21! Jackson Oglesby, a recent MLK Magnet High School graduate, has been a youth volunteer leader for the past year, leading a weekly four-hour tutoring project with Backfield In Motion. 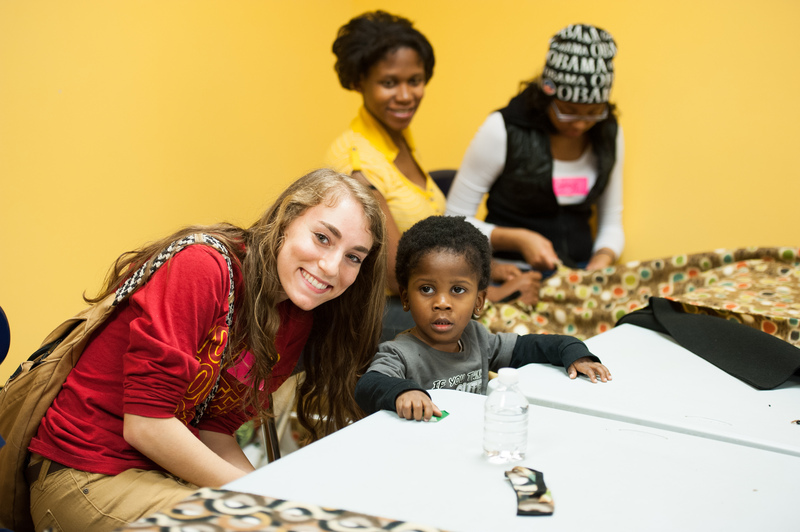 The first time I volunteered with Backfield in Motion, a local mentoring program, I was in awe. When I initially signed up to mentor 80-plus middle school-aged boys, I prepared myself for craziness. Reflecting on my own middle school experience, I expected to walk into a chaotic room. To my surprise, upon my first hour working with the kids, I discovered that these boys were not only incredibly polite, but also extremely eager to learn. Seeing how they acted in a classroom environment, I realized that they were more mature than a lot of my high school classmates! After three years of dedication to Backfield in Motion, I can say that these are some of the best kids I have ever seen. Every Saturday the boys came in prepared and ready to participate. They cleaned up after themselves and were extremely respectful in the classroom. In the course of the three years I volunteered with Backfield, there were few instances where I witnessed a crazy classroom. For the most part, these kids were the perfect students. In fact, most Saturdays, I was the one who felt unprepared. It was a major challenge to re-learn a lot of the course material I hadn’t studied since my own middle school days. Inside and outside of the classroom, the kids treated me with as much respect as one of their teachers. Not only did they listen to me when I offered individual help, but they also included me in personal conversations outside of the classroom. Volunteering with Backfield not only gave me a new-found respect for teachers, but also helped me to realize how beneficial and essential programs like Backfield are to making positive changes in the community. >Click here to learn more about HON volunteer projects for youth and teens! Hope. A sense of purpose. These things are priceless, and when given to individuals who otherwise would feel hopeless or without purpose, lives can be changed. 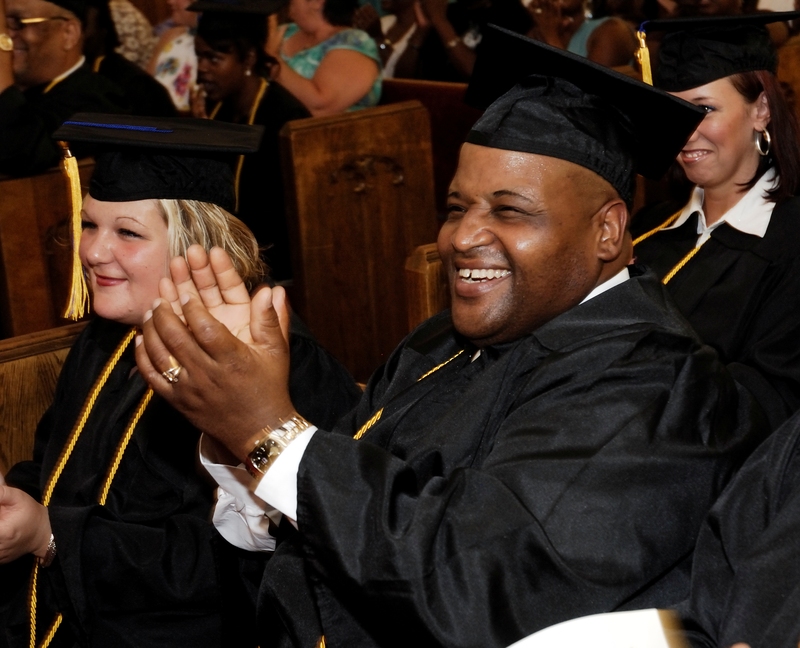 Nashville Opportunities Industrialization Center (OIC) is in the business of changing lives. 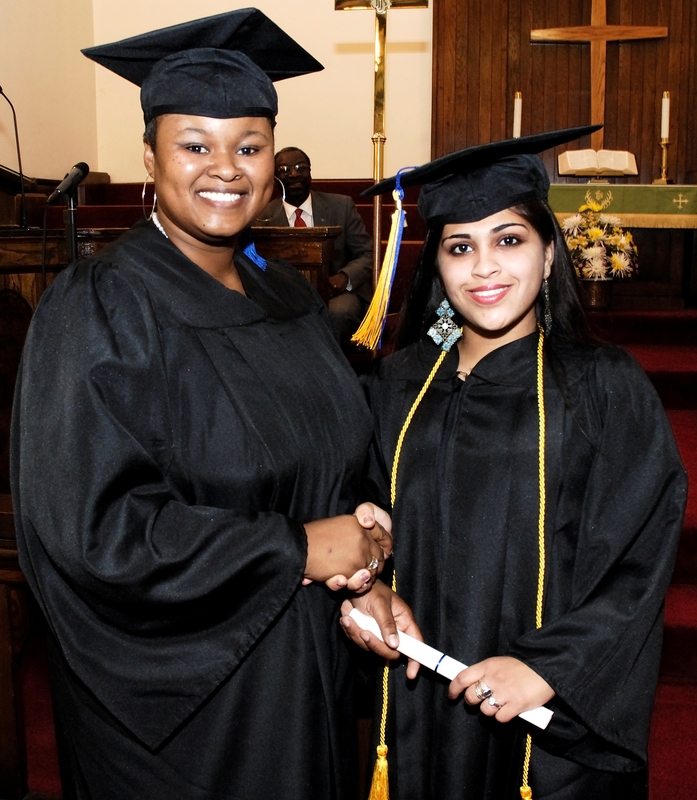 OIC provides education, training, counseling, and job placement services at no cost for citizens of the community who are disadvantaged economically, educationally, and socially. And during these challenging economic times, this is an incredibly valuable service that makes the Nashville community a better place. Larry Harper, who spent 10 years in prison, found OIC by dialing the 2-1-1 help line. He enrolled in the Job Placement Program, and is now working two jobs. He is in college and studying Health Informational Technology. Larry’s background created employment barriers, but OIC helped him overcome them. Clinton and Larry’s stories of self-achievement and success are two among hundreds. 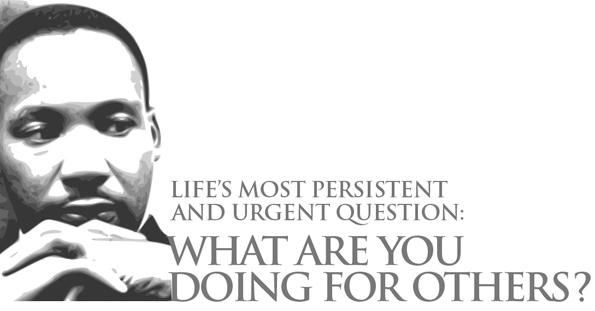 Being a part of OIC as a volunteer is a wonderful opportunity to empower people to help themselves. Volunteers instill the value of education in OIC students, who then pass this value along to their families and children. GED test preparation – Volunteers are needed to tutor GED test preparation students in one of more of the following subjects: math, social studies, science, reading, and essay writing. 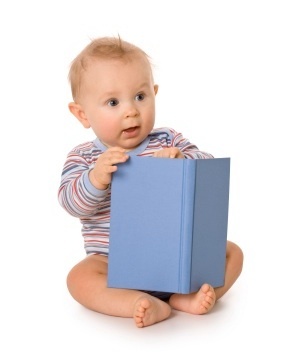 Volunteers may select the subject(s) they prefer and are provided with materials to prepare for tutoring sessions. The instructor pairs each tutor with a student and identifies concepts to work on during each session. There is no minimum time commitment per week or month. There are two options for locations: The OIC campus, or Park Avenue CCC. Computer Training Instructor – A Computer Training Lab Monitor & Instructor is needed one or more days each week to answer student questions about how to use the internet, basic computer skills, and Microsoft Office programs. This person needs to be highly proficient in one or more of the following: Microsoft Word, Excel, Access, and Powerpoint. Ability to instruct students in basic computer skills: turning on a computer, logging in, using a mouse, using the Start menu, opening a folder, saving a document, using flash drives to save documents such as class assignments and resumes, etc. > Read more and express interest here. Be a part of this inspiring atmosphere as a volunteer! If you have questions or would like to learn more about OIC, contact Holly McIndoe at hmcindoe@oicnashville.org or (615) 248-2906, or visit www.oicnashville.org.